CLEAN TITLE CERTIFIED! 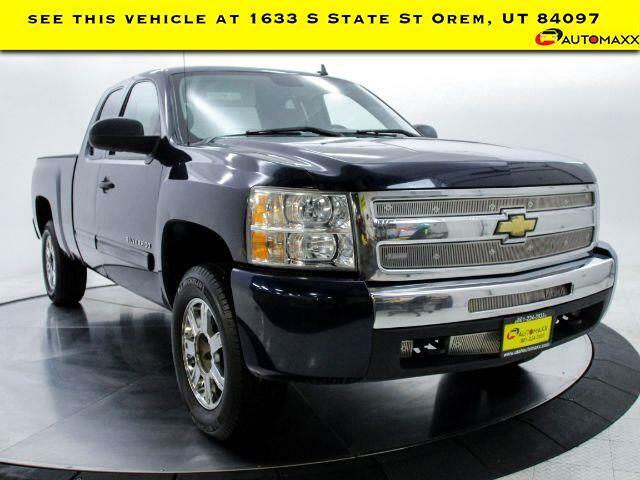 Reviews: * If you need to tailor your pickup truck to your exact requirements, the 2010 Chevrolet Silverado enables you to do just that with a wide variety of configurations, bed lengths and trim levels. The Silverado''s V8 engine lineup offers Active Fuel Management technology, Flex-Fuel E85 capability and even a hybrid model. Source: KBB.com 2010 Chevrolet Silverado 1500 LT Awards: * 2010 KBB.com Brand Image Awards --- All vehicles come with a 12 month/12,000 mile Powertrain WARRANTY for your PEACE of MIND! --- www.utahautomaxx.com --- 801-221-7778 Se Habla Espanol.